One of our biggest points of pride at Dubsado, is the idea that we aren't just another CRM for a specific industry. Our family is made up of photographers and doulas; web designers and lawyers; calligraphers, event planners and so many more. Each industry, despite their intricacies and differences, find a common home in Dubsado's ease of use, customizability and desire to put you and YOUR business first. To help illustrate this, we decided to start a series dedicated to hearing from you: the Dubsado user. Each post will focus on a specific industry! We'll learn how our amazing users make Dubsado work for them and how it can work for you! Alora: Hey there! I’m Alora! I Am A Michigan Wedding Photographer Based In Detroit. I Photograph Couples Who Adore Modern & Fun Photography And Just Simply Adore Each Other. I want to show those fun in between moments when you laugh at each other hysterically. But, I want you to look back on your images and say, "Wow, this us. This is how we act everyday". Jenna: I'm a product & stock photographer as well as a video editor for creative small businesses living in Minneapolis. I use Dubsado to manage both photo and video clients all in one system. Thomas: My name is Thomas Grimes and my wife Ginger and I are the owners of Grimes Photography. I started our company in 2012 but have been in photography for nearly 12 years. We were married in June of 2011, and now are a family of four, with the addition of our daughter Kennedy (4 years) and our son Houston (3 months). We both enjoy traveling, our East Carolina Pirates and are slightly obsessed with Disney, technology, and new equipment. We love creating beautiful images but more importantly, we love serving our couples and families. Aneen: I am a documentary and portrait family photographer based in Windhoek, Namibia. I have always had a love for art and really found my passion when I started doing photography. Nothing makes me happier than capturing the true emotion and connection between people. 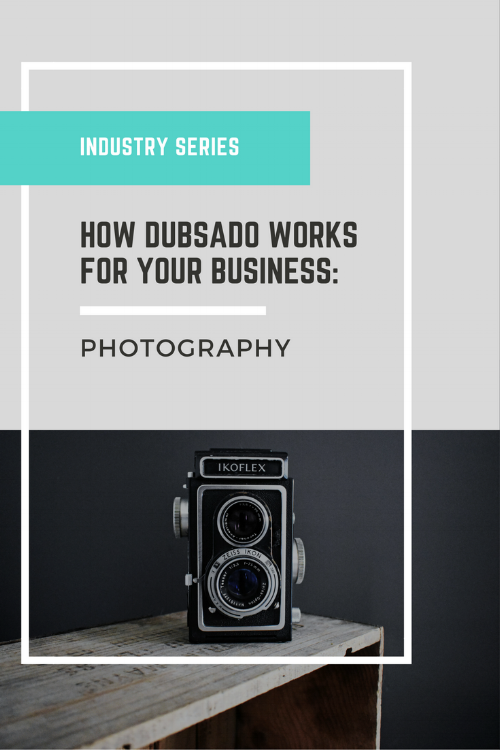 1) As a photographer, how has Dubsado been most impactful to your business? Alora: Dubsado has been my pocket organizer! I used to have 5 different programs in order to send documents to be signed, and accept payments, send questionnaires and etc. Now everything is in one place and I feel that I can access anything at any time with just a click of the button or just visiting their client portals. The automatic workflow system that sends emails has saved my life and now I don't have to check my business email constantly! Jenna: I've loved being able to customize my proposals, contract & invoicing in one place, without having to use separate systems, all over email. Having all of the features go together has been amazing! Thomas: Before Dubsado, I had my own system of emailing, creating contracts, taking payments, recording transactions via google drive, etc. This was not only frustrating but took a lot of time. Dubsado has changed our business by allowing us to run our business without spending hours on manual time-consuming tasks. Dubsado is also more convenient for our clients as well. The client portal allows all documentation housed in one easy to access place so our clients enjoy a smooth process from beginning to end. Aneen: My clients just love how easy it is. Everyone is busy and Dubsado just makes it quick and easy to get pricing, bookings and payments etc. It has made my life easier: I don't have to worry about forgetting bookings or getting back to clients because everything is automated. Even if I don't actually open up Dubsado, I still get the reminder emails! 2) What would a Photographer get from Dubsado that they wouldn’t find anywhere else? Alora: #1 AMAZING CUSTOMER SERVICE! I am a very VERY picky person when it comes to anything. I tried 4 of the top business software systems and stayed with Dubsado. All my questions are answered quickly and the 1 on 1 webinar was so helpful I was able to set up my whole business profile within a week! I left the system I was using and I haven't looked back! Also, Dubsado is constantly keeping you in the loop of what they are working on next, which helps you get excited for all the new features coming up!! Jenna: I think the biggest thing you can get from dubsado is a fast CRM that has amazing customer service & frequent updates as well as features that make sense to freelancers and entrepreneurs, which I didn't find anywhere else. Thomas: Love, family, and passion. All Dubsado users I have encountered have been beyond grateful for how they have tailored to our needs based on the creative industries we are in. Their love and passion for this CRM are beyond what you will find anywhere else. Becca and Jake (and the entire team) treat you like family; it's like you know them personally. Dubsado is always reaching out to users to focus on what our business needs are. I’ve never used another program that is more focused on making their user's life easier and happy. Aneen: Dubsado just offers so much more overall. My favorite part is the pretty forms! I can add pictures in there and even some slideshows to show off my work to clients. 3) What is the most important thing you would tell other Photographers about Dubsado? Alora: The most important thing I have told other photographers about Dubsado is the ease of use, amazing & friendly customer service (you have no idea how hard that is to come by). I now have time to spend with my new baby girl and my husband without worrying about 7 other apps in order to send a contract, payment, or questionnaire because they are all automated in my new wedding workflow. Can't wait to see what's coming up in the future! Jenna: I would say that if you have trouble keeping systems together & want a platform that is constantly updating based on customer feedback, choose Dubsado. One of my favorite things about Dubsado is that it doesn't cater to the wedding industry like other CRMs do (as I'm not in the wedding industry) it can be custom to any industry (including weddings but not limited to them)! Thomas: As photographers, we spend a lot of time with our clients: back and forth emails, meetings, wedding day, sessions, more emails, and don't get me started on editing photos. That all adds up to a lot of time. This time spent on your business is taken away from you doing the things you want to do with your family and friends. Dubsado is a game changer when it comes to your business, saving you so much time. Every idea that you come up with, Dubsado is two steps ahead. If you come up with an idea they have not considered, they will listen and take action on those ideas. You really can't find that anywhere else. So what are you waiting for!? Join the Dubsado family, you won't regret it! Aneen: It definitely is a must have for any business. The best thing for me is the workflows. It saves so much time. We have to get a lot of info from clients as well as provide them with things like session details, locations etc. Dubsado automates all that. I basically set a date for the session with the client. Dubsado does the rest. More family time and more time with my three young children. I sleep better (seriously) because I know Dubsado won’t let me forget about an upcoming session!